Homegrown Horror Chapter V: (Un)safe Spaces is a collection of narrative shorts that screened at the Boston Underground Film Festival. The Boston Underground Film Fest’s Homegrown horror program continues to deliver unusual and genre defying cinema. In its fifth year, Homegrown horror show the depth of New England talent and the bright futures that are ahead for these filmmakers. 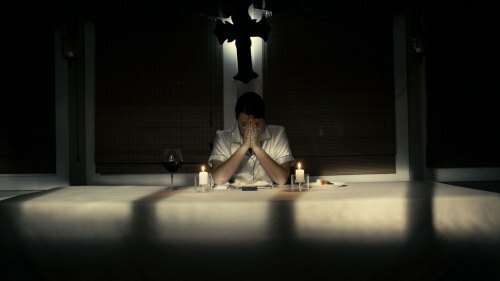 Under Dusk, She Screams - Maine – Directed by R.J. Wilson – A 15 second horror short that resembles the gritty style of shot-on-video (SOV) films, an expecting mother must answer a malevolent call. Knock Knock II – Massachusetts – Directed by Katherine McManus – This is what you get when you cross Shirley Temple, John Waters and Divine, The Loved Ones, and Black Christmas into one gross and disturbing slasher short. Excellent lighting captivates this weird scene as a maniac torments his captive audience with his artistic performance. The Misplaced – Massachusetts – Directed by Alex DiVincenzo - Nice lighting is creatively used in this story of misplaced items in a couples home. Sometimes it's better to not find out the reason why things have gone missing. 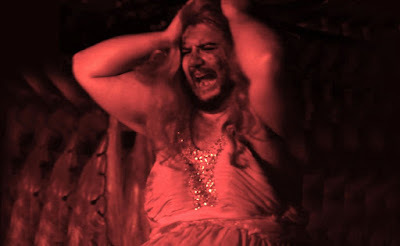 Jolie Laide – Maine – Directed by Charlotte Warren –Graffiti and neon lighting dominate this terrifically dark and entertaining foray into the queer version of Dante's Inferno. Reminiscent of the '70s psychedelic counterculture films, this is a mesmerizing trip that could be considered a ultra-weird sexual version of Alice in Wonderland. Gene Dante is captivating as Luci, the host to the woman sent on a journey of self-discovery. By far, my favorite short film in this program that I was able to view. I Want You to Know – Massachusetts – Directed by Silvia Graziano – A fine score and narration present a tale of a secluded woman who indulges in a revengeful and dark appetite. Everything about this short would serve as the perfect scene in a feature film. Are You Wild Like Me? 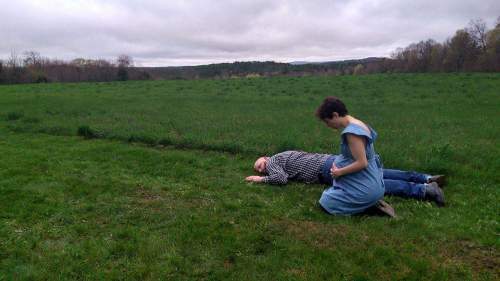 – Connecticut – Directed by William Namrocki – An unexpectedly sweet and gore-filled coming-of-age story about missing children, who has been lost in a secluded forest. It is full of heart and lots of blood. Baptism – Maine – Directed by Mackenzi Bartlett – (Was unable to screen this film) A religious community requires a sacrifice to revive its failing crop. Signal to Noise – Rhode Island – Directed by Jarret Blinkhorn – Clocking in at just under four minutes, it is a short and effective piece of psychological sci-fi horror that leaves you craving to see more. The story is reminiscent of ‘80s David Cronenberg, Invasion of the Body Snatchers, and similar sci-fi and horror films that incorporated social and political commentary into the plot. 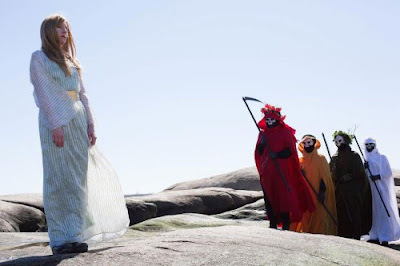 Death Has No Season – Massachusetts – Directed by Coco Roy – (Was unable to screen this film) An eerie musical odyssey through the season, presided by a spectral presence. A/S/L – Massachusetts – Directed by Ben Swicker – This super disturbing take on vengeance towards online predators evokes memories of Hardy Candy and the Black Mirror episode Shut up and Dance, flipping it into a slightly goreriffic take on the subject matter. 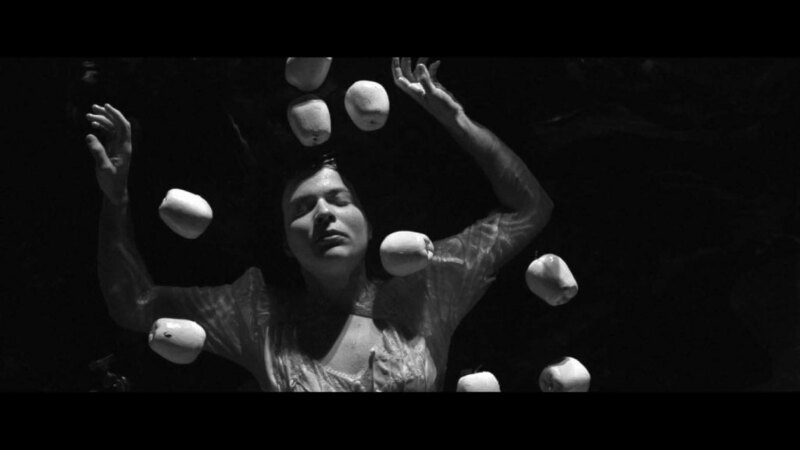 Entropia – Rhode Island – Directed by Marinah Janello – Wow! This is definitely the weirdest of this group of short films, channeling David Lynch and his film Eraserhead. 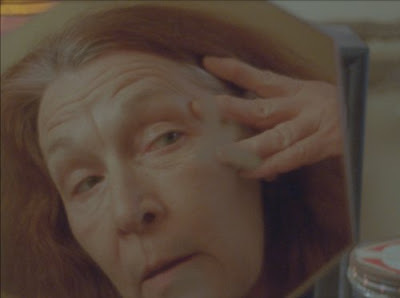 An aging woman desperately turns to the occult searching for a return to her youthful looking self. Everything about this is odd, disgusting, and unusual, from the lead actress and silly orchestral score to the superbly graphic and gross effects. This is Tales from the Crypt and the extremes of plastic surgery gone horribly wrong. A true must see.